Gazette’s Summary: China has gone through a period of increasing economic prosperity, but industrial development has taken its toll on the nation’s waterways. Many of China’s rivers are far too polluted for use by humans, yet environmental officials usually rate them as meeting national standards. If we Chinese die of cancer caused by pollution, what’s the meaning of economic growth for us?”—Jin Zengmin. In February of 2013 a Chinese eyeglass entrepreneur offered a $32,000 reward to the chief of the local environmental protection department if he would swim in a local river for just 20 minutes. The offer was declined. The eyeglass maker, Jin Zengmin, lives in a small city near Shanghai. The city has known economic prosperity in recent years, but prosperity has taken its toll. 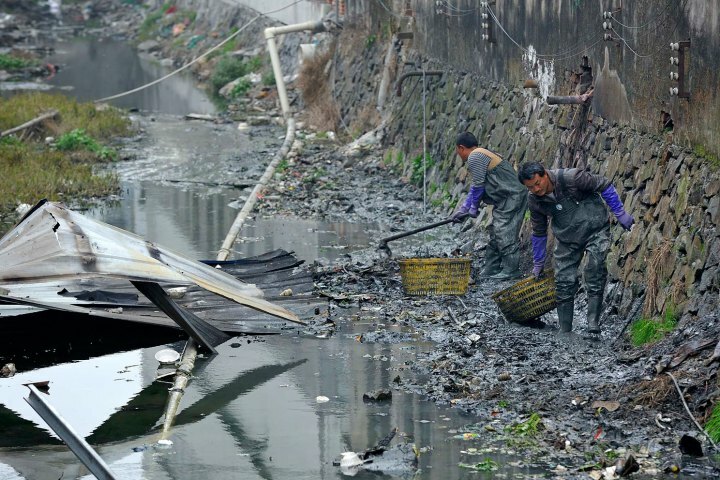 The city is the home of 100 shoe factories that dump raw chemical wastes directly into the local river. Jin made his $32,000 bet after local environmental officials declared that the foul-smelling Sina Weibo river met national health standards. 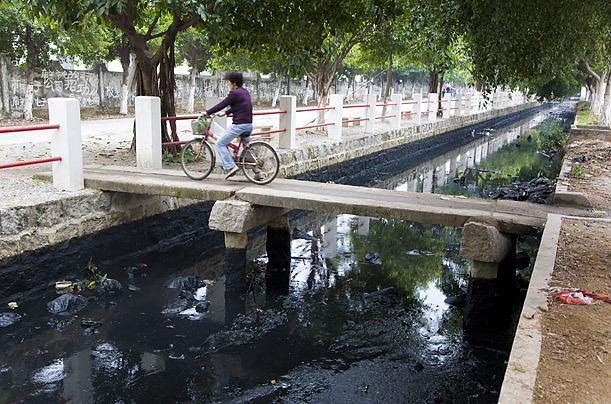 After Jin’s wager, internet users posted thousands of pictures of polluted waterways in their regions.